Khloe Kardashian decided to go all out for her little girl’s first Halloween wardrobe. It looks like reality star Khloe Kardashian decided to go all out for her little girl’s first Halloween wardrobe and dress her up in five different furry animal outfits – talk about an overload of cuteness! Taking to her Instagram the 34-year-old first time mom, shared some of the most adorable snaps taken of her little girl while decked out in the cutest animal outfits for her first Halloween dress up which featured a unicorn, panda, pig, lamb and tiger. “Happy Halloween!!!! It’s our first Halloween together!!!! She’s too cute to spook!! 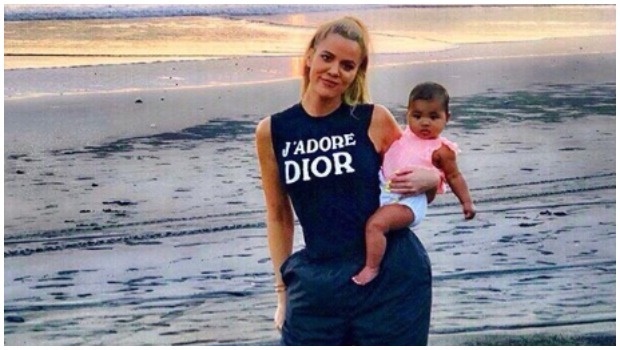 (Don’t judge me, I have more costumes to post lol),” Khloe captioned a collection of snaps of herself in twinning Halloween costumes with daughter True. Happy Halloween!!!! It’s our first Halloween together!!!! She’s too cute to spook!! (Don’t judge me, I have more costumes to post lol) ???? See more snaps below of six-month-old True’s adorable Halloween costumes.